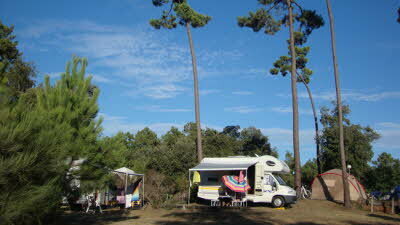 The site is 4.5km from the sandy beaches of the Charente coast and accessible by bike or car. 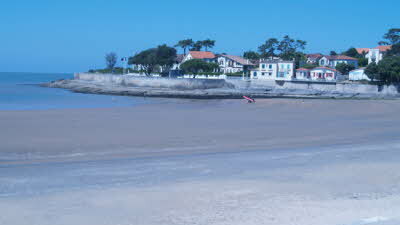 Royan, with its Modernist architecture and bustling cafés, is just 20 minutes’ drive and can also be reached by bus from outside the site. 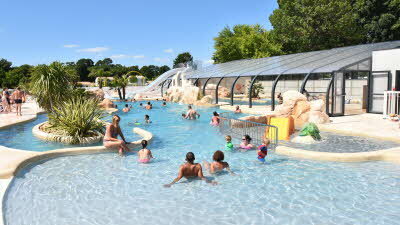 There is a large zoo featuring a range of mammals, birds and reptiles nearby. 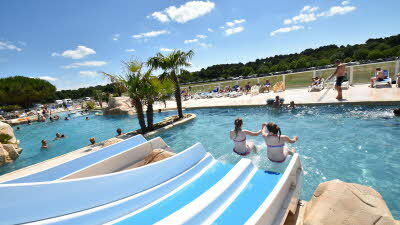 Royan, Planet Exotica (botanical gardens), Talmont-sur-Gironde, Zoo de la Palmyre, La Rochelle, Fort Boyard, Cognac, Golf, Horse riding, Tennis, Karting, Surfing, Thermal baths at Saujon, Guided walks. 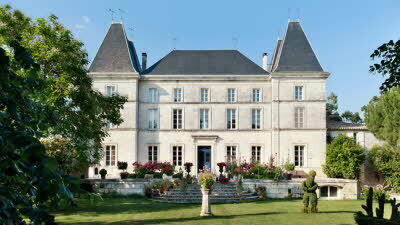 We stayed here for 2 weeks with our 3 kids (aged 10, 8 and 4) and are thinking about booking again for next year. 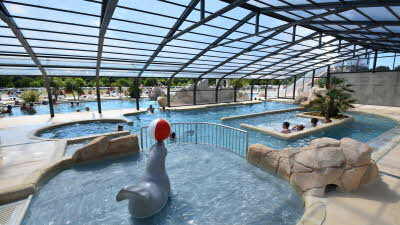 Pool was well designed with lazy river and slides, the bar and restaurant looked out over the pool and playing fields, and the site shop was well equipped. The pitches were large and shady, which was appreciated as it got hot while we were there. 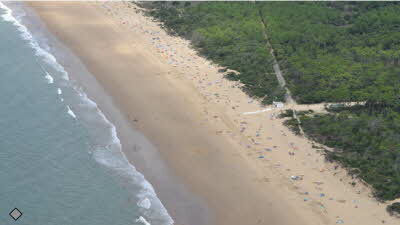 10mins drive to great beach and also to supermarket and local towns/villages/zoo. Only slight disappointments were that the toilets were a bit dated and we thought the roads to the beach weren't quiet enough for our kids to cycle on (although some families did). The rest of the facilities and location far outweigh these issues. Staff were really helpful and friendly too. We appreciated the calm atmosphere without kids clubs etc. but enjoyed having the play equipment and fields for kids to play on. Would definitely recommend this site. Ready to book again next month (October) for our Visit which will be our 12th consecutive year in 2018, we usually stay for 21+ Nights and wish it could always be longer as we never run out of things to do and places to visit in the area. The site itself is well kept with nice large touring pitches, lovely clean shower/toilet block built 2016 The new pool complex is superb for adults and children alike. On site there is a nice restaurant and bar also a shop which has all the essentials needed. There are several Hypermarkets within a 10 minute drive. 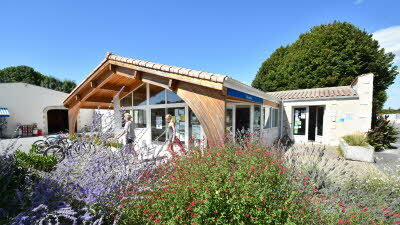 The area itself Charente Maritime is just beautiful so many places to take it. 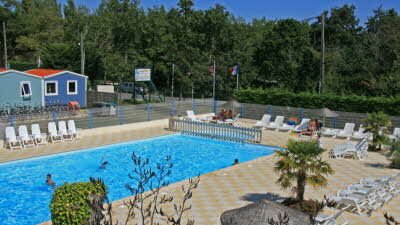 We had a lovely family, 3 young children, stay here for 2 weeks. the site felt so safe and relaxed for the children to play around. 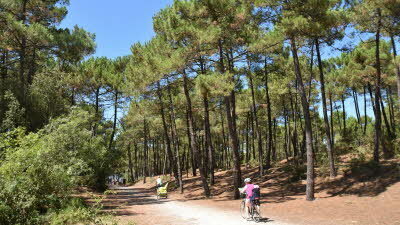 Great to be able to bike to the beach, we brought bikes but hired from the site a trailer for the twins who are 3. One site could see ourselves returning to. We stopped overnight on our way down the west coast. Helpful staff with limited English. 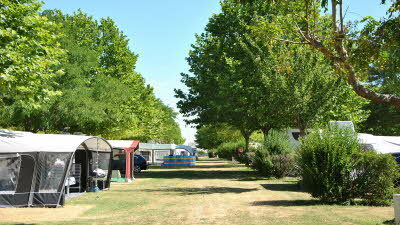 A large site with very open and large pitches, very popular with the British. 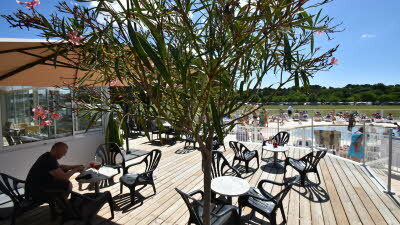 Good facilities inc bar, restaurant, shop, pool etc. A little bit out of the way and a drive to the beach.